Burial: in Campground Cemetery, Bond Co., Ill. 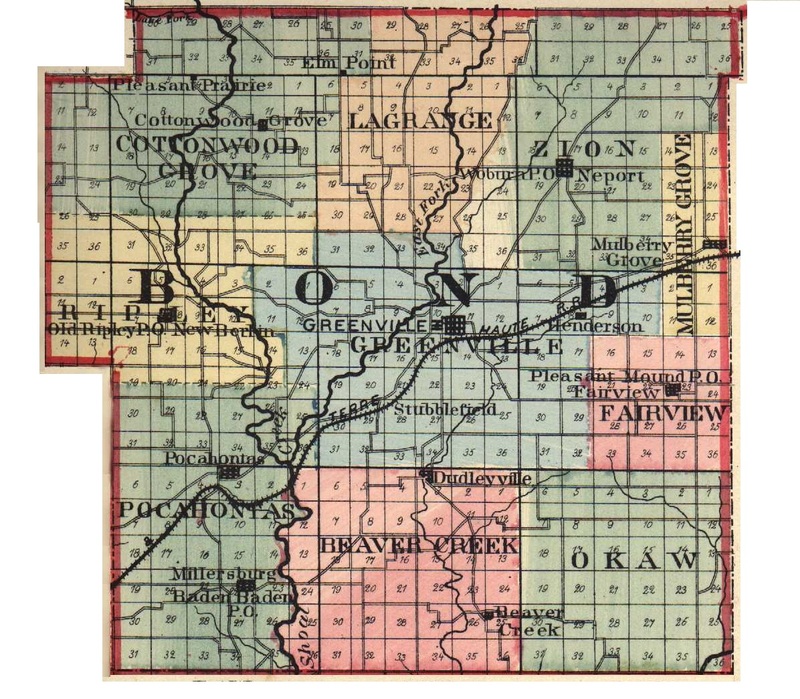 Birth: 1848 in Bond Co., Ill. Marriage: October 1, 1866 in Bond Co., Ill. Birth: July 18, 1848 in Bond Co., Ill.
Death: December 9, 1933 in Bond Co., Ill. Marriage: March 10, 1872 in Bond Co., Ill. Marriage: July 7, 1880 in Bond Co., Ill. Birth: 1856 in Bond Co., Ill.